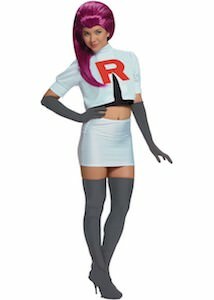 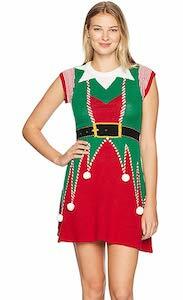 If you want to be a bit more connected to Santa then wear this Women’s Elf Costume Dress and become one of his helpers. 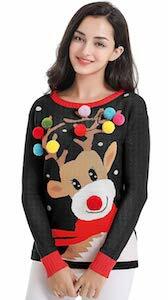 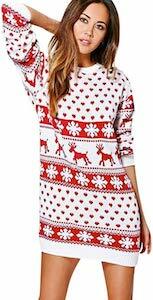 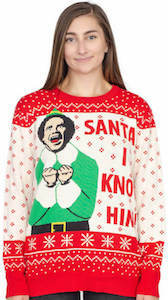 This Christmas dress is jus fun as a festive holiday outfit but is also great if you are going to help Santa out as it work great as a costume too. 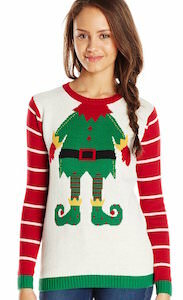 You can get this elf dress in women’s sizes XSmall – XL and it is made from 55% Cotton, 32% Acrylic, and 13% Nylon. 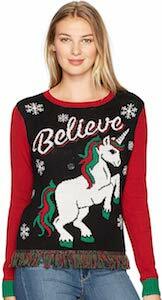 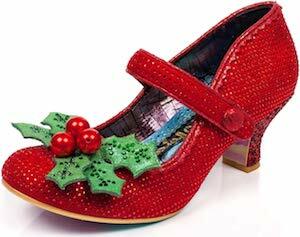 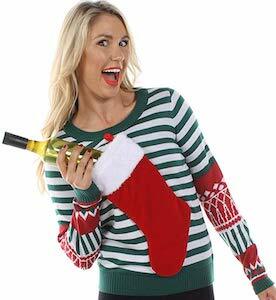 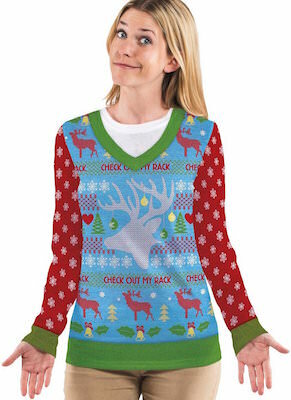 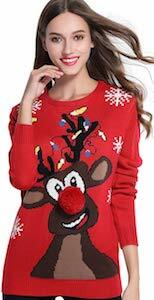 It is just a cute outfit for a holiday party or any other Christmas occasion so come check it out. 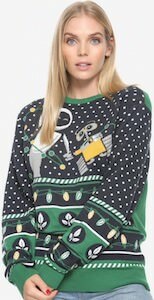 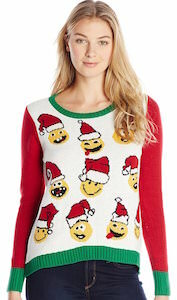 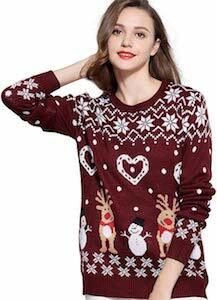 Now you can dress up in this Women’s Snowman Dress. 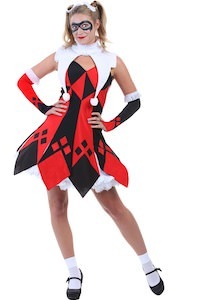 The costume dress is great for Halloween and Christmas and will get your notices as it is just amazing looking. 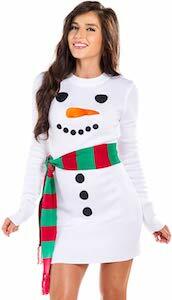 The snowman dress is all white with long sleeves and on the front you can see the face of the snowman and the 3 buttons on its body. 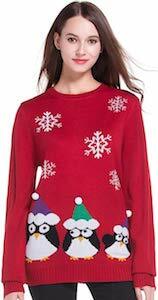 And like a true snowman this costume comes with a scarf in red and green that you can use as a belt. 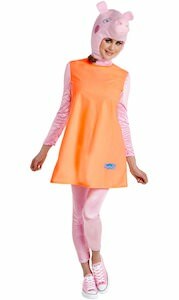 You can get this cute and amazing snowman costume in women’s sizes XSmall – 2XL and it is made from acrylic. 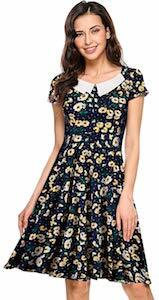 If you like to show the world around you your insides then check out this skeleton dress. 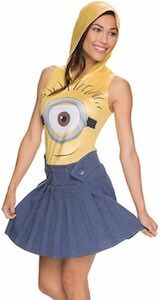 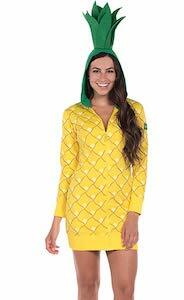 The women’s costume style dress is great for Halloween or everyday wear and would work on the day of the death too. 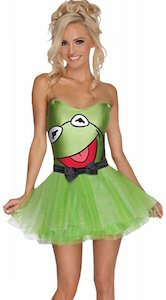 Both the front and the back are dark in color with on it a life-size picture of a skeleton. 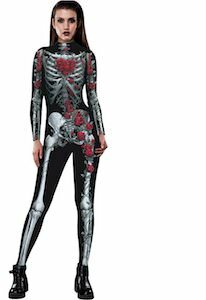 You can get this skeleton costume in women’s sizes Small – XL and they are all made from 100% polyester. 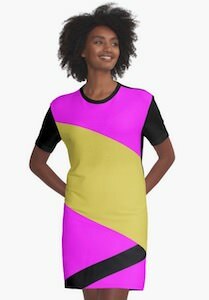 Be ready to show some bones by wearing this cool dress.